Academic colleagues from the UK, China, South Africa, Australia and Sweden are working on developing joint answers to global challenges from a dual cultural perspective. The aim of this research project with the title Global challenges: taking an international approach, is to find holistic approaches to security questions, ecological threats and development challenges. This includes researching diverse topics such as exploring the potential of terrorism litigation as a legal security tool for China’s One Belt Road initiative; investigating the role that river rights play in producing new modes of regulation along China’s trans-boundary rivers; and exploring the symbolic power of International Environmental Law as a force for managing dissent in the South China Sea. Dr. Kenneth Kang, BU Centre for Conflict, Rule of Law and Society (CROLS) PGR and affiliated with Xiamen University, China International Water Law Research Group, and Yu Dong, a graduate from Peking University and CROLS researcher granted by China Scholarship Council and China’s Department of Education, are preparing under the supervision of Dr. Bachmann two security related themes for the Chinese market. One current activity is titled ‘Eco threats as security threats and the protection of the environment during hostilities’ and ‘Terrorism litigation as deterrence under international law’ and is based on existing academic work published in the UK by members of CROLS and aims at transferring the findings into the Chinese context. Two publications in leading Chinese journals are planned for 2019. The study group is led by Dr. Sascha Dov Bachmann, Associate Professor at BU, Reader in War Studies at the Swedish Defence University, and Research Fellow at the Faculty of Military Science at Stellenbosch University, who is the Head of the (CRoLS), Bournemouth University, and Scientific Contributor and Research Fellow (designate) at the Legal Office of NATO, the Supreme Headquarters Allied Powers Europe (SHAPE). Expressions of interest of becoming involved can be sent directly to sbachmann@bournemouth.ac.uk. The group aims at fostering research collaborations across the globe and to foster academic dialogue in a non-partisan way among academic and professional practitioners. 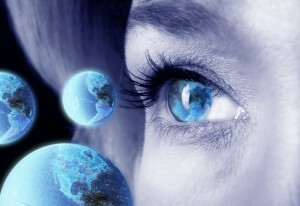 Global peace and security has seen the arrival of new security threats in the form of hybrid threats and cyber-attacks. This symposium provides a platform for the discussion of a new form of warfare, namely ‘hybrid warfare’. Hybrid war is the use of a range of non-conventional methods (e.g. cyber warfare and lawfare) in order to disrupt, discourage and disable an adversary’s capabilities without engaging in open hostilities and may use the full range of military and non-military options for achieving its strategic objectives. Such hybrid warfare might include aspects of ‘cyber terrorism’, ‘cyber war’ and cyber-based ‘information operations’, a topic of particular interest given Russia’s ‘Ukrainian Spring’, the continuing threat posed by radical Islamist groups in Africa, the Middle East and the Asia-Pacific region as well geopolitical shifts. The interdisciplinary symposium will discuss military doctrines, new and traditional approaches to war and peace and its perceptions, the use of cyber warfare, the use of mass media communication to meddle in internal state affairs, including impact on state elections and public sentiment, as well as the use of lawfare (the strategy of using – or misusing – law as a substitute for traditional military means to achieve a war-fighting objective) to achieve military goals in a non-kinetic way and the use of various means to disrupt a nation’s economy, public services and national interests. At the heart of the symposium stand the questions of how to increase resilience and whether responses to such hybrid threats need to change in the future. This seminal conference brings together academics and military professionals from the region and beyond to discuss new security challenges from a Asia-Pacific and especially an Australian perspective. Proposals must be sent by email to the Lead Convenor: Professor (AP) Sascha Dov Bachmann (email: sbachmann@bournemouth.ac.uk). Professor Pompeu Casanovas (CasanovasRomeu@latrobe.edu.au) and Professor Louis de Koker (L.deKoker@latrobe.edu.au). Contributing further to the continuing discourse and development of intersectionality, this book examines East Asian migrant women’s stories of motherhood, employment and gender relations by deploying interlocking categories that go beyond the meta axes of race, gender and class, including factors such as husbands’ ethnicities and the locality of their settlement. Through this, Dr. Lim argues for more detailed and context specific analytical categories of intersectionality, enabling a more nuanced understanding of migrant women’s stories and identities. At each of the sessions, you will find out about funding opportunities in each region and, subject to availability, hear from BU academics who have personal experience of working with relevant funders or collaborative partners in each region. You will also have the opportunity to converse with colleagues about how to develop your research with these regions in mind. If you already have experience, please feel welcome to join us, to share your knowledge with your peers at BU. Bookings are open, so please follow the links above to reserve your place. For the period 2018-2020, the EC has reserved a budget of over €100 million for the benefit of EU-based entities for Horizon 2020 partnerships with China. The Chinese Ministry of Science and Technology (MoST), the National Natural Science Foundation of China (NSFC), the Ministry of Industry and Information Technology (MIIT) and the Chinese Academy of Agricultural Sciences (CAAS) are reserving millions of RMB to fund partnerships with the EU under the joint Flagship Initiatives and in other key strategic sectors. 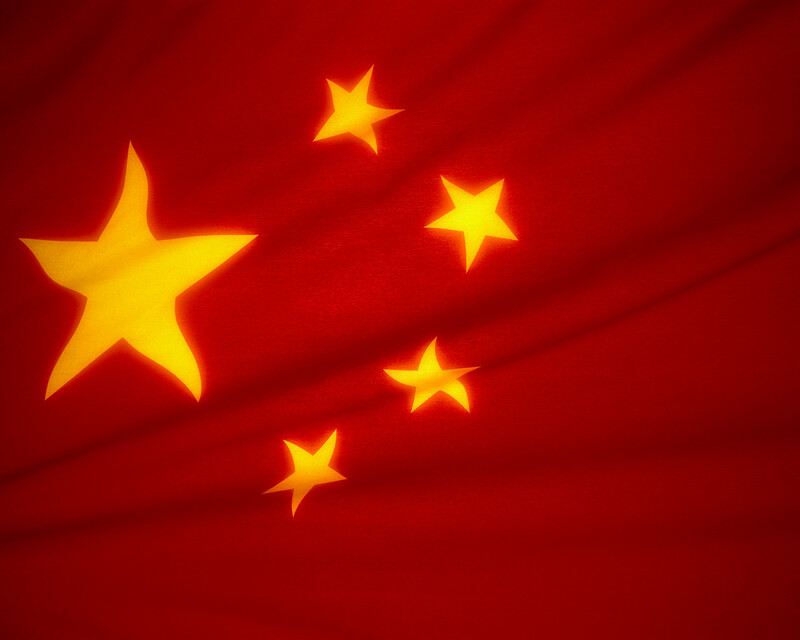 Some competitions are already accepting applications from the EU – RCUK China has prepared an overview of opportunities available available for download here. 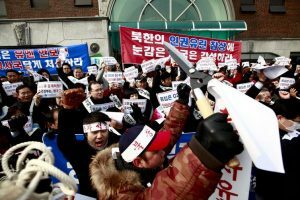 Congratulations to Dr. Hyun-Joo Lim Senior Lecturer in Sociology at BU who has just written an interesting piece on human rights issues faced by North Korean female defectors in China in The Conversation. You can access this article by clicking here! What demotivates Chinese Students attending Universities Abroad: The role of perceived leisure constraints? 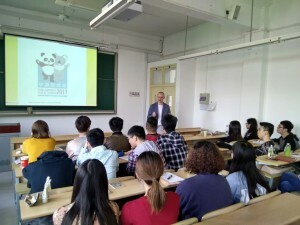 I visited both Shanghai Jiao Tong University and Donghua University to understand the importance, if any, of leisure to Chinese students, and any impact on perceived attractiveness of the United Kingdom as an overseas destination for further study. As the UK and its universities consider the factors to market the UK as an international student destination, this visit found there is a need to create some programs to assess, observe and serve better the leisure needs of the current and potential Chinese student market. 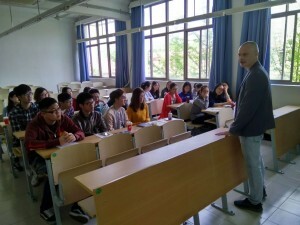 From being more proactive about helping Chinese students engage in on-off campus leisure and community life to providing staff instruction on how to correctly pronounce Chinese names, the leisure needs of current and future current Chinese students may need to be assessed to help newly arrived students in the process of adjusting and familiarizing to new leisure patterns. 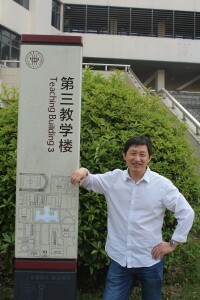 Picture: Much thanks to Dr. Chun-zhang Liu for the welcome. 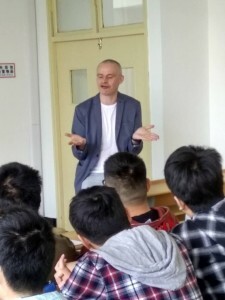 I also visited Shanghai Jiao Tong University to talk to students, about their perceptions of constraints to leisure in the UK vis-a visa other important markets such as the USA and Australia. 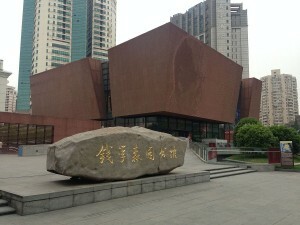 Jiao Tong University is a public research university in Shanghai, China. Established in 1896. As the UK Government seeks to increase the number of international students, many Chinese students worry about moving to the UK for higher education and noted challenges such as psycho-social stress, including the possibility of social isolation. The students also noted other barriers, such as the accessibility of ethnic foods in the UK, joining clubs/societies, and possible changes in their leisure patterns. Based on connections made to staff at Shanghai Jiao Tong University and Donghua University, quantitative data will be collected from 200 sampled students to explore leisure activity preferences and the perceptions of constraints to leisure if considering studying abroad. The results will also help policy makers and administrators understand the importance of understanding perceived life constraints when students consider the study abroad experience. I wish to thank Santander for the mobility grant to visit Shanghai, and engage in a research project. 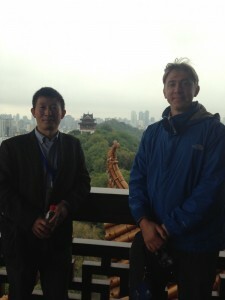 BU academic Dan Franklin and PhD student David Hartnell presented research in Wuhan, China during the 10th ICTC last week. 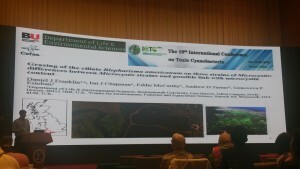 Attracting about 350 delegates, and sponsored by the Chinese Academy of Sciences, the conference was concerned with the growing problem of toxic cyanobacteria in freshwater resources and the ways in which ecological and health consequences can be reduced. 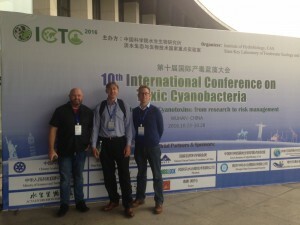 Toxic cyanobacteria are a particular problem in China, where they have contaminated public drinking water supplies creating a serious public health issue. Dan and Dave gave 4 presentations at the conference on work carried out with BU colleagues Ian Chapman, Su Chern Foo, Eddie McCarthy and Prof. Genoveva Esteban. Dr. Andy Turner from the government biotoxin labs at CEFAS, Weymouth, an important collaborator on the BU work, also presented at the conference. The conference was a great success and enabled meetings with important researchers in the field from around the world. Dan and Dave would like to thank BU for funding some of the expenses of the trip. 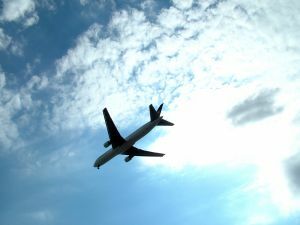 The aim of the Travel Grant Scheme is to support technological and research collaboration between Chinese and European organizations in order to explore the opportunities, not only for joint participation in the European Commission’s HORIZON 2020 programme, but also the possibilities of concluding technological agreements. The Travel Grant Scheme is designed to provide support for accommodation for 7 nights (including breakfast) at the Wyndham Grand Shenzhen Hotel, for each European organization seeking co-operation with Chinese organizations. This is the first Call for Applications of the Dragon-STAR Plus Travel Grant Scheme and it will support European organizations interested to participate in the High-Tech Forum and Brokerage Event organized in parallel to the China Hi-Tech Fair 2016, which will be held in Shenzhen, China on 16th – 21st, November 2016. Green Tech (Energy, Material, Biotech, Recycling, Environment , etc.) sectors. To find out more, please go to the call website. The final deadline for applying to SEZ for Confirmation of Pre-check (only applicable to research collaboration applicants) is 08/09/16 and for full applications, the closing date is 15/09/16. BU staff can also register, via BU’s subscription, on the UKRO website to receive announcements concerning EU funding direct to your own inbox – make sure that you hear first! If you are considering applying, please contact Emily Cieciura, REKO’s Research Facilitator: EU & International, in the first instance. The following Newton calls are currently open. If you are thinking of applying, please contact Emily Cieciura, REKO’s Research Facilitator: EU and International, as soon as possible, so that we can support you. Bournemouth University welcomed Mr Peter Huang, Deputy Director of the EU-China Industrial Technology Transfer Centre, when he visited on 5th May 2016. Mr Huang, a BU alumnus, presented the future EUCITTC vision for engagement with international universities, including those in the UK. Central to this vision is the development of an international technology canal for transporting R&D, innovation, technology, funds and opportunities for cross-boundary cooperation; opening a new pattern for technology achievements transferring and transforming and facilitating the combination of technology and economy. Meanwhile, by cooperating with many partners, EUCITTC is planning and formulating the system for the technology cooperation between the EU and China, so as to break through the bottleneck of international technology exchange and cooperation. Find out more about the EUCITTC services and their structure. If you are interested in applying for any of these calls, please contact Emily Cieciura, RKEO Research facilitator: EU & International or your Faculty Funding Development Officer. To keep up to date with Newton Funding and share experiences with other academics, why not join the Newton Fund Network or sign up for their Newton Newsletter? For more general news on international HE activities, take a look at the UK HE International Unit’s International Focus Newsletter. Another way to participate is to attend the international research workshops delivered by The British Council.